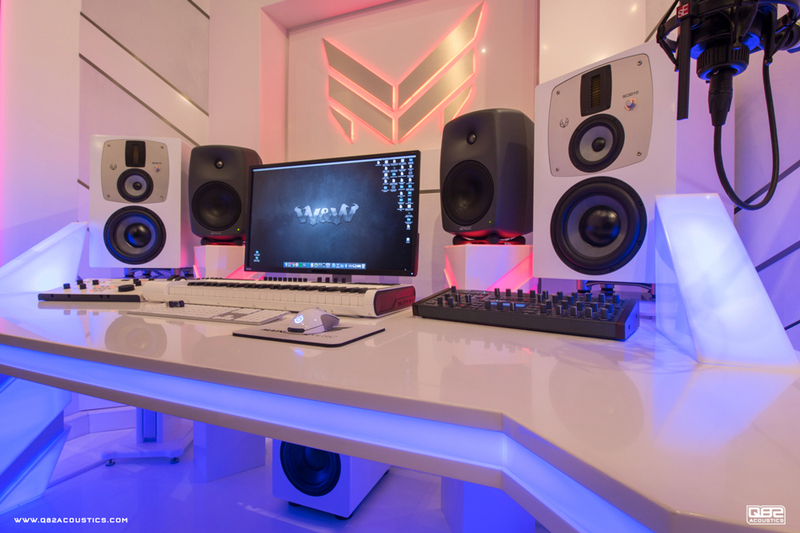 Q82 Acoustics delivers state-of-the-art studio to W & W.
After completing successful projects for well-known artists such as LNY TNZ, Deetox and Bass Modulators, Q82 Acoustics have completed a sleek design studio for international DJ duo W & W.
Q82 Acoustics used the available space to fit custom furniture, ergonomic chairs, high-gloss white laminate floor and a DJ desk – all of which utilizes LED lighting to great effect. 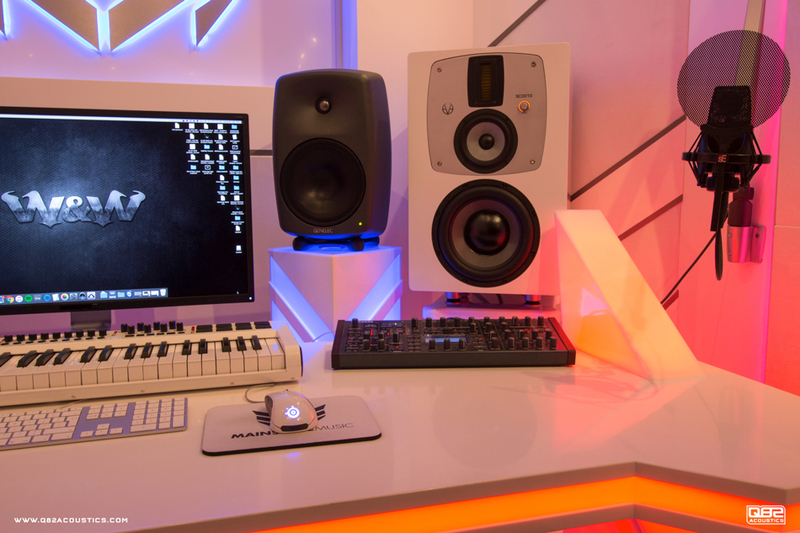 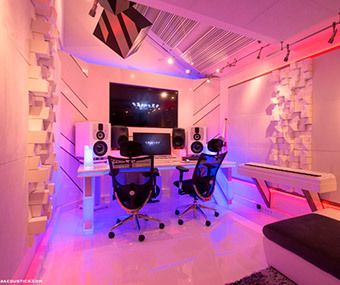 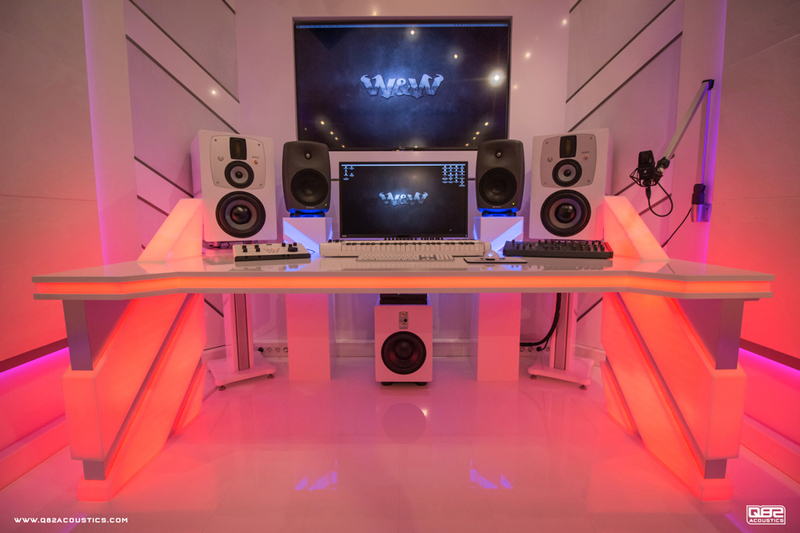 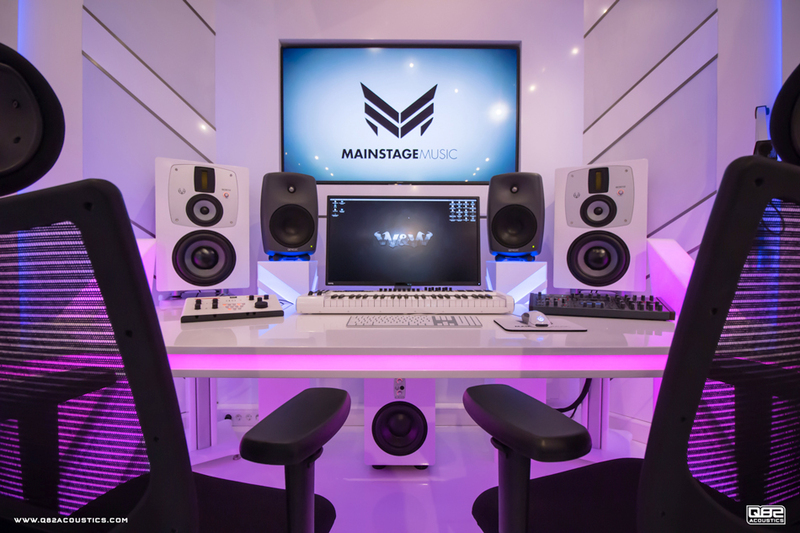 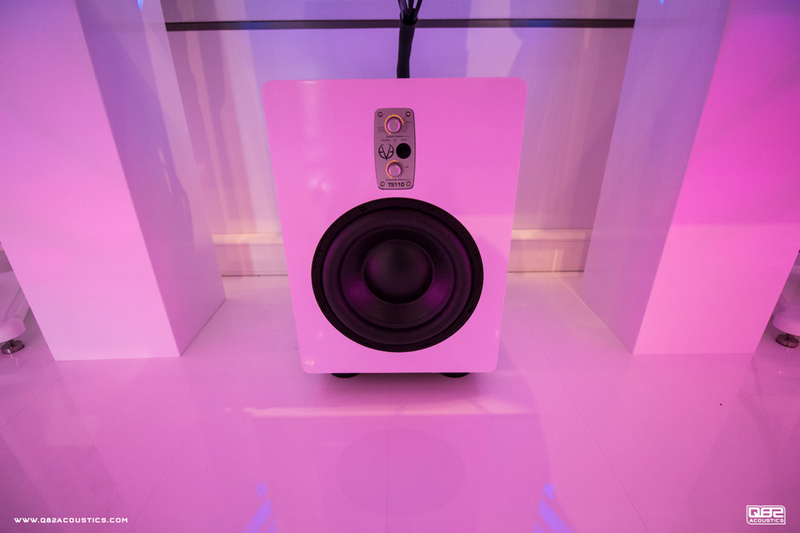 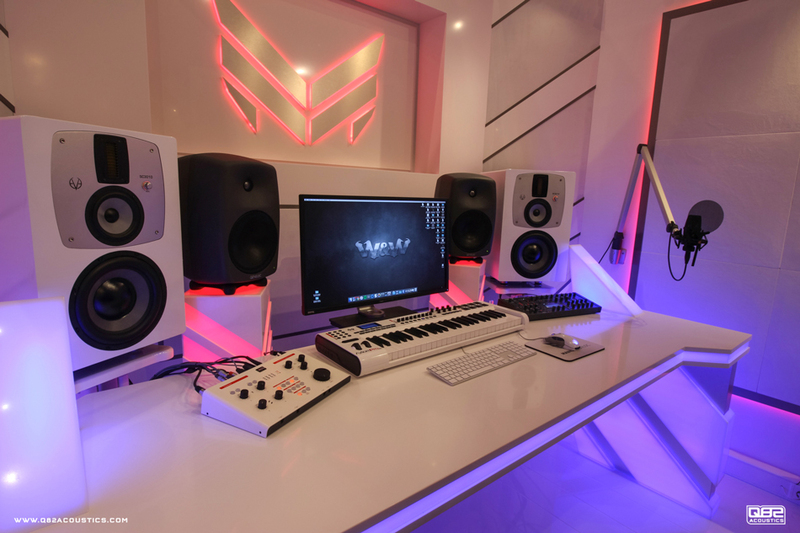 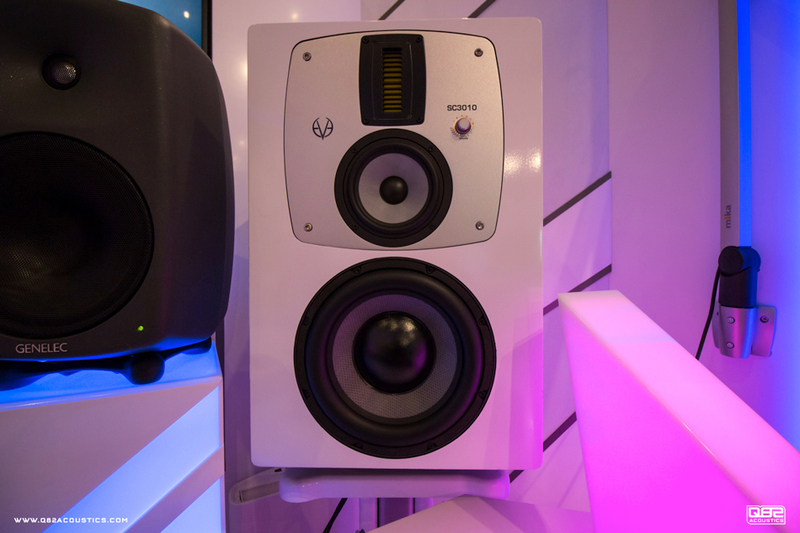 The main monitoring is provided by EVE SC3010 monitor speakers together with a TS110 subwoofer – all custom wrapped in white to match the surroundings, thus ensuring that the studio is one of a kind! 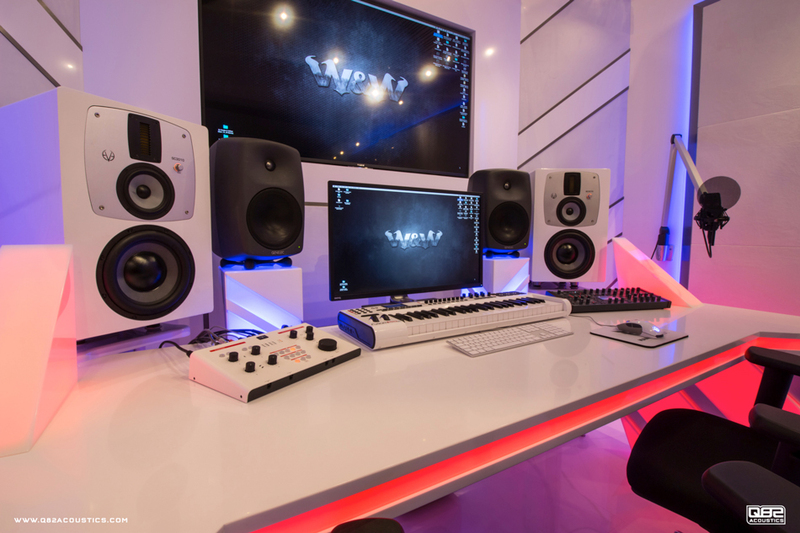 W & W: "We've known Quintin Beekman from Q82 Acoustics for quite a while already and we were impressed by the studios he had already done. 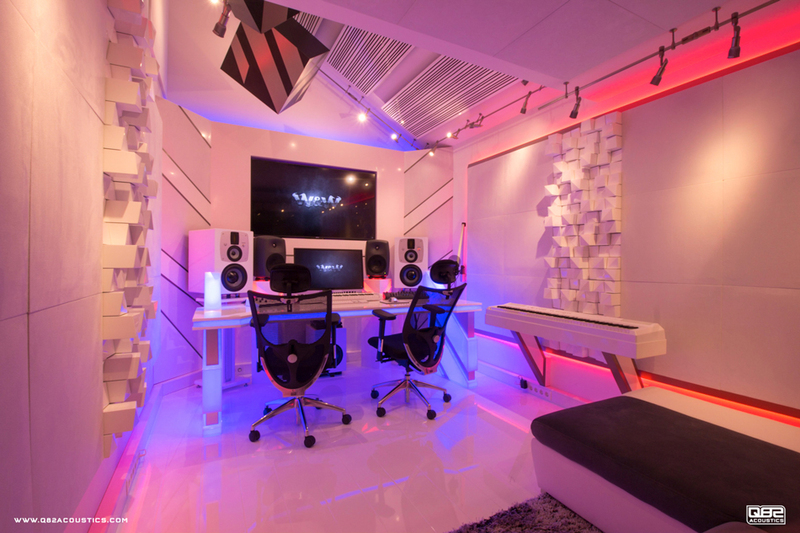 We gave him all the freedom to create a studio that would look sick and sound great, and we're super happy with the result!"